PokerOffice 2 is considered the best poker software on the market by many of the really good players. Even if you don’t care much about amazing statistics tools and stuff like that PokerOffice 2 is an amazing tool. The overlay function gives you live statistics as you play, and this is truly a great feature. Just the benefits of seeing the little logo telling you what sort of a player your opponent is can increase your profits greatly. And this is what happens the players using PokerOffice 2 are players making more profit, about 40% of the PokerOffice 2 players are winning players compared to about 5 % or 10 % for poker players in general. PokerOffice 2 is easy to use for the beginner and you don’t even need any computer skill to set it up. Ok, if you are a poker newbie it might be a bit hard to understand all of the statistics you get but just use those you need. Take a chance of growing as a player and when you do that you can expand your use of PokerOffice 2. You can get PokerOffice 2 for free by using one of the poker room deals, just play a couple of hands and you get the serial. Or, you can purchase it directly. There is also a free trial if you want to play a couple of hundreds of hands before you decide, the trick here is to use the trial period for playing the hands required to get it for free. 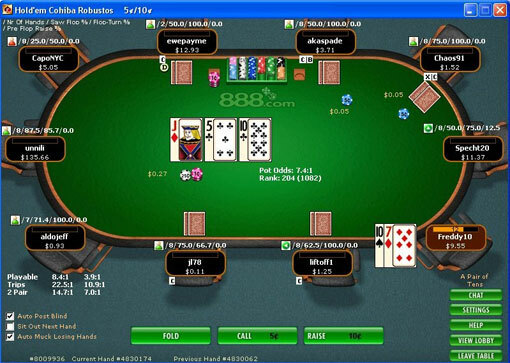 PokerOffice is the most sophisticated tool on the market for Online Texas Hold'em Poker. PokerOffice allows you to track all of your opponents actions as well as your own game, while you are playing, without any need for hand histories or user input. It stores all of the collected data and brings you summarized statistical reports, spreadsheets and graphs of your own and your opponents play. In addition it comes with a Live Advisor Window that displays real time opponent modeling of the players you are currently facing, real time probabilities of future hands, hand rankings, Pot Odds and live statistics. - The PokerOffice Live Tracker! Get rid of tedious downloads of hand histories, PokerOffice brings you the opportunity to track your ring game and tournament play in real time without the need for hand histories. - The PokerOffice Statistics Section! Stores all collected data and brings you summarized statistical reports, spreadsheets and graphs of your own and your opponents play. Find out how many times you see the flop, raise, play middle pair on the flop, and much more. - The PokerOffice Live Advisor Window! Displays real time opponent modeling of the players you are currently facing, real time probabilities of future hands, hand rankings, Pot Odds and live statistics." - Track your play by starting hands, by position, by hands on the flop, by sessions, by win rate, and much more. Find out how much you win/lose depending on game level, starting hands, position, saw flop frequency, opponent actions, etc. - Measure your performance against all of your opponents; PokerOffice brings you performance based ranking lists where the player with the highest win/hour is at the top. - Track every player you have ever played against and see how often they see the flop, raise pre-flop, check-raise, win at showdown, play bottom pair on the flop, and much more. Discover your hourly win rate, standard deviation, showdown frequency, etc.